Xender is a great cross-platform app that makes file sharing a much easier task. The app offers so many useful features that it’s categorized as a “must-have” for all smartphones. However, if you are not familiar with Xender, then you arrived at the right place since today we are going to cover everything there is to know about the app. Not just that, but we will also go over some important tips and tricks that will help you use the app to its full potential. The first thing we need to mention about Xender is that it has been designed with the sole purpose of helping people share files from one smartphone to another. The cool thing about Xender is that it’s a cross-platform app that can run on Android, iOS, macOS and even on Windows. To make things even better, Xender is available in 22 languages which means that anyone can use it. The developers of the app wanted to make sure that anyone can benefit from the features that Xender has to offer and they made sure that it doesn’t require any outrageous hardware specs. The only thing that interested readers need to have is a smartphone that supports Wi-Fi/Bluetooth and 7MB of free internal storage space. Android smartphones owners should be happy to know that installing Xender is really simple. The only thing they need to do is to head over to the official Google Play Store and hit the Download button. From here on, the installation wizard will take care of everything else. Although, we need to mention that Android fans who want to install Xender need to sign in with a Google Account to Google Play Store. 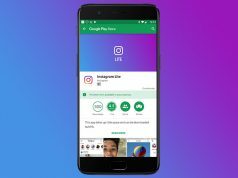 Android fans are not the only ones who have it easy since Windows users can also install the app by simply clicking a Download button. One of the most annoying things about owning an Android smartphone is the fact that you can’t share files with people who own iPhones. Google and Apple don’t want their operating system to interact with each other and sending files such as music, pictures and documents is impossible! Fortunately, Xender is here to save the day. All that’s left now is to share all the files you want. Xender comes with a cool feature called “Phone Replicate” that allows users to copy every important data starting with contacts and ending with pictures.